Discussion in 'THE RECUPERATION LOUNGE' started by TheSirSpence, Jan 5, 2018. Firstly I have done all the usual searches and I can't find anything that matches my request. Also apologies if this is in the wrong forum, it seemed the most appropriate. Lets just say that I have a special type of OCD that restricts itself to DVD and book shelves. I have spent many an hour ranting to people about how season 1 of, lets say, Quantum Leap, has a picture of Sam on the spine and so doesn't match all the others - and you can substitute QL for pretty much any show... ever. 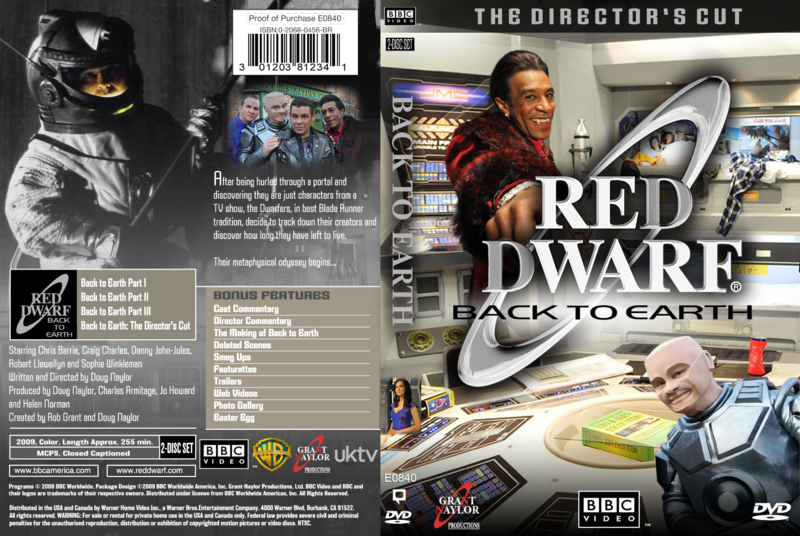 This is why I find the Red Dwarf DVDs, with their reversible covers, to be an absolute stroke of genius. On one hand the cover that the Marketing Guru's believe will shift more copies and the reverse is there to make nerds like me happy. This is where Back to Earth comes in, I get that this got the case that was in the show and it's supposed to be very meta..... but that doesn't stop me hiding that one DVD as opposed to putting it, in pride of place, between VIII and X. Try and replace the cover with a custom made one. 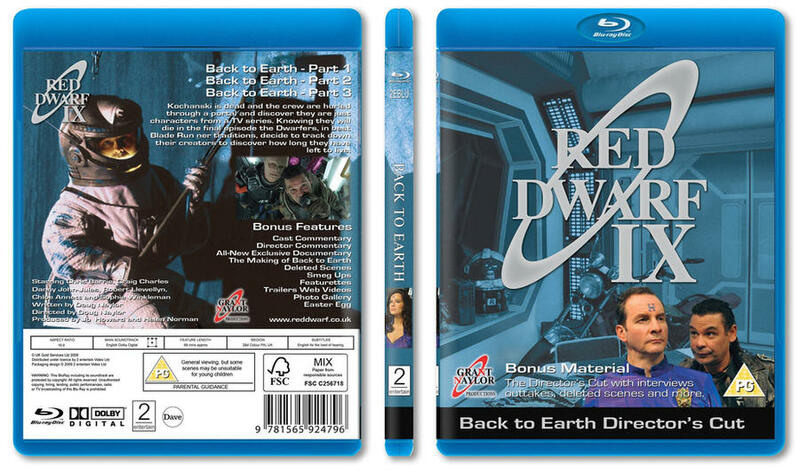 He made this available, in both DVD and Blu-ray, here. Sadly the links no longer work. This brings me to the route of this overly long thread....... Does anyone have a copy of DVD version of this? 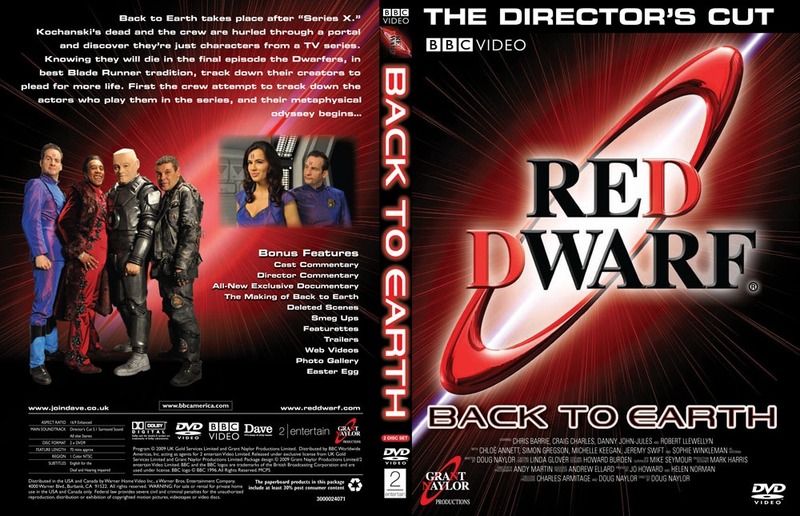 Or has anyone made their own that will satisfy my DVD based OCD? Thanks so much but that's the Blu-ray so the it doesn't fit. sad times. There may be an assorted few the further you go down google images really far. 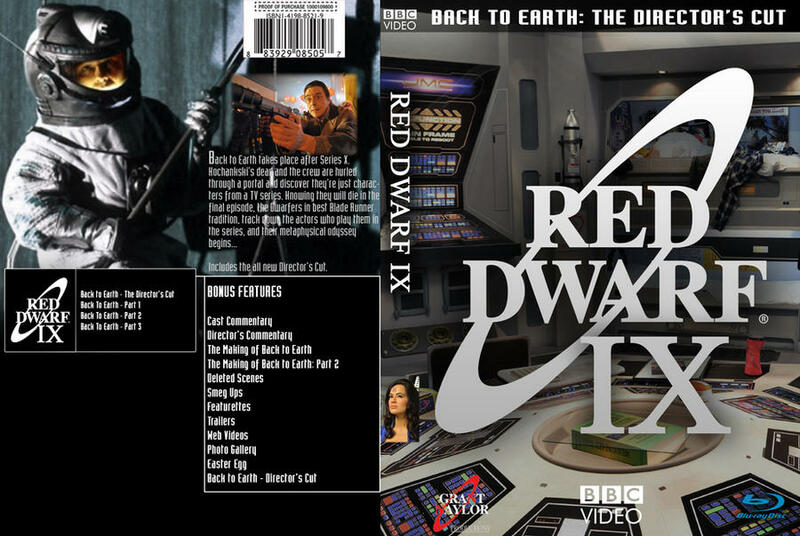 Also, there's an American version that somebody made over on ganymede.tv - while it won't perfectly match all your British DVDs, it will certainly be a lot closer. I've seen the one on ganymede.tv, That might have to be my fallback plan. All I could find. Maybe you can enlarge and print? I've already mentioned it, but here is GlenTokyo off G&T's absolutely beautiful Region 1 Back to Earth cover that even doesn't call it IX. If you don't care, stop posting in the thread. I show it with tough love bluebell!! !